This year marks Juniper Systems’ 20th Anniversary. Earlier this year Juniper Systems was the proud recipient of the Cache Chamber of Commerce Entrepreneurial Success Award. When I think about the word “entrepreneurial,” it conjures up images of boldness, courage, daring and extraordinary vision. I don’t know how much of that I have, but I know that my father and founder of Juniper Systems, Ron Campbell, has plenty of entrepreneurial spirit. Well, it’s either that or perhaps it’s just a healthy blend of ignorance and optimism. It’s that ignorance and optimism that probably explains why I was born in Africa. Kenya, to be exact. Yes, Kenya. As in that country halfway around the world. My parents were both raised here in northern Utah. My older brother was born here, as was my younger sister. But my dad got a wild hair to see the world. So when my mom was six months pregnant with me, my father decided it would be good to take her and my older brother to the other side of the world on a special government project (flying airplanes to seed clouds for hail suppression). I don’t think the words “risky” or “treacherous” even crossed his mind as he and my mom set out on that adventure. Nor did it cross his mind when he returned from Africa. In 1974, my dad helped his brothers start Campbell Scientific. His entrepreneurial spirit kept going when he took out a second mortgage on his home to start another business, Omnidata, a company that would go on to design one of the world’s first rugged handheld computers. By the time he got around to starting Juniper Systems I don’t think he batted an eye. It just seemed to be the next logical step. Juniper Systems was founded in 1993 under the name HarvestMaster. The primary product, the Harvest Data System, was (and still is) designed to perform on-combine grain weight and moisture measurement and electronically store the results of those measurements. The measurements were stored on – you guessed it – a rugged handheld computer. Our first rugged handhelds were sourced from Omnidata, but we soon found ourselves in the midst of designing our own handhelds. Omnidata had taken a different business direction and many of the talented individuals at Omnidata ended up joining our organization, among them are Gary Spence (Chief Technology Officer), Debbie Trolson (Geomatics Sales Manager), Jeff Ricks (Industrial Designer) and Keith Hunt (HarvestMaster Market Manager). 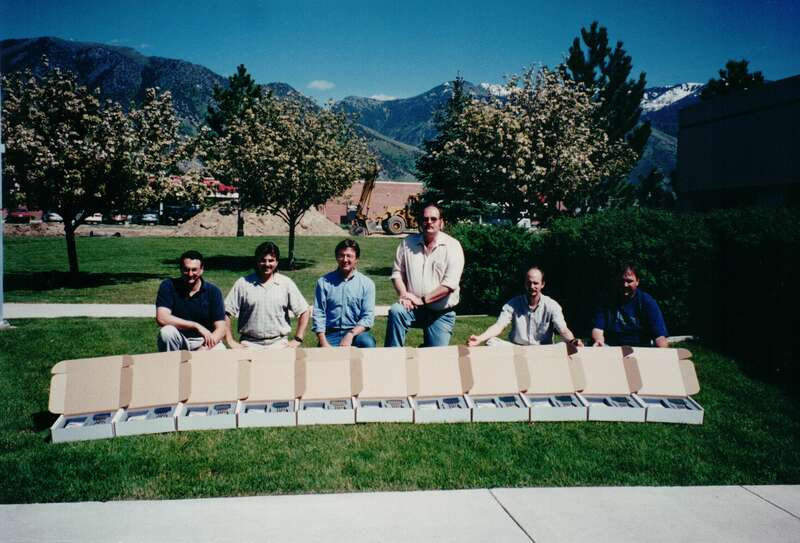 Not long after we released our first handheld at Juniper Systems, people liked what we built. The year 2000 was an exciting time for the business, as we introduced the very first version of the Allegro. In 2004 and 2005 we were recognized by the Mountain West Capital Group as one of the fastest 100 growing companies in the state of Utah. Over the years since then, we’ve added more products, more people, more markets, and even a few additional remote office locations. While it is neat to be recognized for growth, our story has never been about growth. Growth is the result of doing something well. Growth is a natural consequence of delivering a high quality product for a customer base that you know and understand. That’s where we hang our hat: quality products and superb customer service. We believe in having a receptionist answer the phones (I’ve always hated trying to navigate a phone tree). We have technicians that repair products and take customer support phone calls. We design and manufacture our products here. Yes—here in Logan, Utah. And we still believe that our employees and customers are what make us successful, not some stockbroker on Wall Street. We have always held firmly to the belief that investing in our own capability to produce—to design, to build, and to service and support our own product—will yield a better product for our customers. We continue to refine, improve, and perfect our processes and methodologies to ensure we remain competitive in the long term. It’s been a wonderful and exciting journey thus far. I feel extremely fortunate to have worked with my dad for almost 20 years, and though we don’t have plans to go back to Africa, rest assured we’re always working on something exciting that requires some of that entrepreneurial spirit! 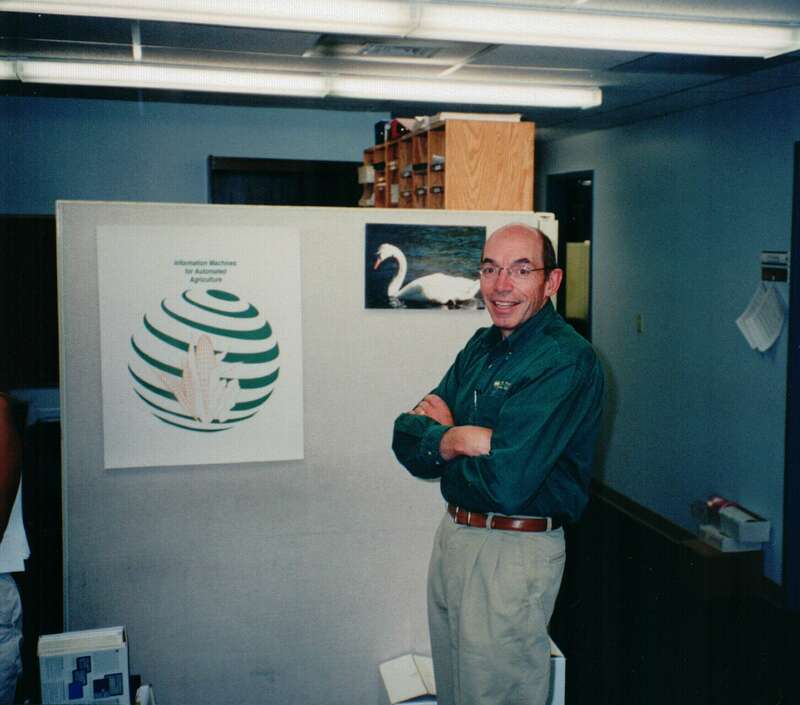 I have been with Juniper Systems since nearly its beginning, and in 2001 I took on the role of President. I am excited every day by the products & technologies we get to play with and the problems we can help the world solve with those technologies. When I’m not at Juniper Systems, I’m spending time with my family, enjoying the great outdoors, working out, reading, or watching ESPN (especially college football...go USU Aggies! ).